Authors — Light of the Moon Inc.
Read about our authors, visit their websites, and find where to purchase their books! Gayle Embrey holds a B.A. in the Arts from the University of Texas at Austin and a M.A. in Art Therapy and Counseling Psychology from The Naropa University in Boulder, CO.
Embrey was a visual artist and photographer prior to turning her creative attention to filmmaking as in 2006. She was an Executive Producer of the documentary film, Playground Project, which focused on the commercial sexual exploitation of US children. She owns Power Surge Productions LLC which produces both short and feature-length films. Her first feature-length documentary, Beyond The Walls (2014), screened in film festivals worldwide. (www.beyondthewallsthefilm.com). Embrey's short doc, God Willing, screened atAspenShortsfest in 2016. In 2017, Embrey completed a book titled Beyond The Walls, which goes into greater depth about social justice murals around the world than the documentary of the same name. She published this book in collaboration with Light of the Moon, Inc., Publishing Division. Gayle Embrey is a Licensed Professional Counselor who retired from seventeen years of private practice in 2010. Her work in psychotherapy continues to inform her film work, writing and philanthropy, bringing a specific lens to issues of human rights and social justice. Carmen is the owner of Torch Reiki Energy Healing, LLC, author, Reiki Practitioner, and Entrepreneur. Torch Reiki Energy Healing, LLC is an energy healing business created by Carmen Grace Shields. 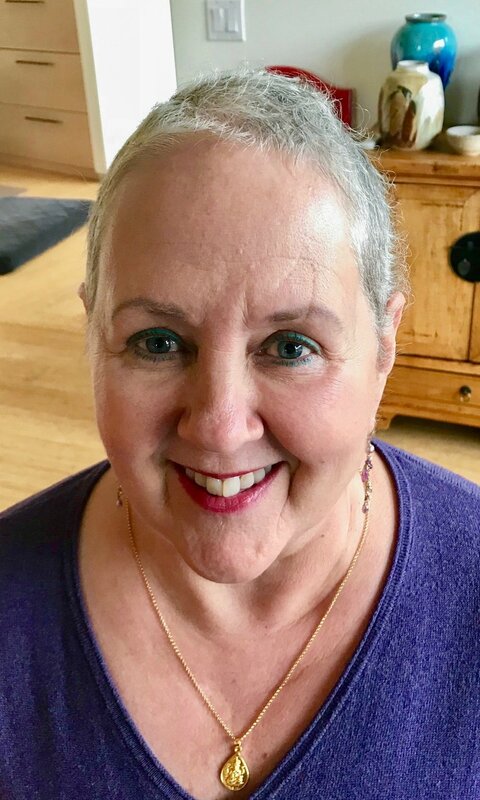 Carmen is a Certified Reiki Practitioner and she enjoys helping others to realize just how they can restore an energetic balance to their body through the use of Reiki energy work. Carmen has a Bachelor’s degree in Journalism and Mass Communications from New Mexico State University. She loves hot cappuccinos, traveling to new places, taking photos (just for fun), spending time in nature, skiing in the winter and spending time with my husband of 4 years and fur baby Maya dog. Carmen began to experience deep grief and loss at the very young age of two-and-a half years old, with the loss of her brother who was stillborn. She had no idea at the time what it meant, or that it was even a traumatic loss, she just knew “Baby all gone.” Carmen’s true desire and hope for writing the book Just Create! Creating through the Grief Wilderness, is to inspire others who might also have the desire to create on their own journey through the Grief Wilderness. 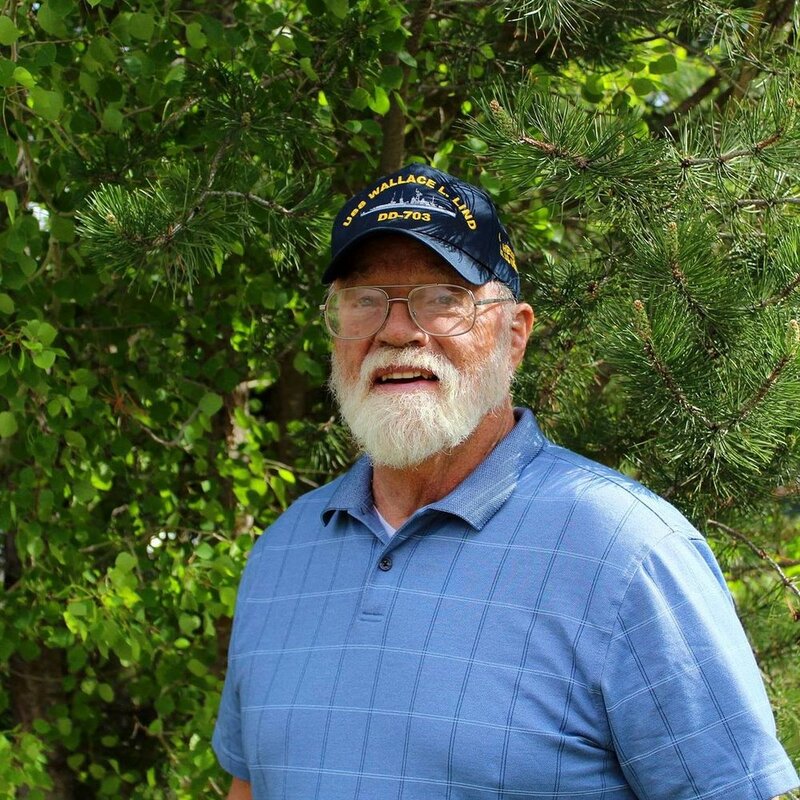 Clark W. Heckert has a BSEE and MSEE degree from Case Western Reserve University and two years U.S. Navy experience during the Vietnam war from 1969-70 as the Electronics Material Officer on the Wallace L. Lind (DD703). He spent twenty-seven years in equipment development with the DuPont Company in the Engineering Physics Laboratory, Medical Products, Electronic Imaging and Printing, and Publishing departments. He was an independent consultant for ten years before retiring to Colorado with his wife Pamela. In addition to his Navy experience, Clark has traveled to many parts of the world. Now he spends his time tinkering with his refurbished Jeeps and communicating on amateur radio (K3NI), along with hiking and skiing in the paradise of Redstone, Colorado. Feeding her imagination wasn’t hard. As a child, she read everything she could get her hands on including encyclopedias and then wrote her own stories and plays. Whether journaling personal diaries or marketing projects, business plans or grants, writing has been an untamed passion she has expressed through a lifetime of professional venues. This is her first set of local history books. Charlotte’s next project is “Conjecture,” a mystery novel about misappropriations, mayhem and murder in a remote mountain community that she conjured up while living in the Crystal Valley. Graham lived full-time in Marble with her husband, Doug Whitney for eighteen years before getting back into their “motoring” lifestyle, off to new adventures. Nicole Beinstein is a 2010 Colorado Book Award-winner and two-time 2010 Next Generation Indie Book Award-winner with co-author George Stranahan for the photographic memoir Phlogs: Journey to the Heart of the Human Predicament. With a BA in Psychology from Cornell University and MBA from the Yale School of Management, where she was chosen by her peers as their Commencement Speaker, she has held various professional positions both in the for-profit and non-profit arenas, including as a consultant for her own strategic communications company. From 2012-2015, she was an Adjunct Professor of Sustainable Business at Colorado Mountain College and is currently the English Language Arts and Social Studies teacher for Grades 3-8 at the Marble Charter School. The introductory story of her children’s book series entitled The Middle World was self-published in 2016. Raised in New York City, she has intermittently resided in the Colorado Rocky Mountains for 17 years between 1994 and the present. Helen Kline was born and raised in Pine River, Minnesota. Over the years she has moved many times, finally settling in Colorado. Her passions include oil painting, artistic beadwork, and she is an avid seamstress. Helen has always been a writer, but most of her writings have just been filed away in a box, well hidden in the back of a closet. Only in the last several years has she decided to publish her work. Susan S. McCoy, the photographer and publisher of her book, grew up on Lake Minnetonka in Wayzata, Minnesota as Susan S. Hofmeister. She graduated from The University of Denver with a degree in Advertising, Marketing and Graphic Design. Upon moving to Aspen in 1969 Susan worked for an advertising agency, but soon realized her best art form was photography, and she started working as a staff photographer for the Snowmass Sun. Later she did freelance photos for magazines and did still shots on film sets. In 1976, Susan married Doug McCoy, whom she met in Aspen. An avid horsewoman, skier, and lover of dance, she now resides on her ranch near Paonia, Colorado, where she boards horses in winter, and grows hay in the summers, while still maintaining a home in the Roaring Fork Valley. For more information about her book, please contact Susan at: rangerider25@gmail.com. DJ Hill is a freelance writer, photographer, poet, and mixed media artist. Her work has appeared in Maple Grove, Route 66, Southwest Metro, St. Croix Valley, St. Louis Park, and White Bear Lake Magazines; The Atrium, Daily Sentinel, Red Bird Chapbooks Weekly Read, Red Flag Poetry, and The Rumpus; and the anthologies A View from Here: Poetry to Help You Soar, Worcestershire Poet Laureate Remembrance Anthology, and JOMP21’s Dear Mr. President. DJ’s collage and mixed media art have been included in exhibits at the R2 Gallery, Red Brick Center for the Arts, and other venues. Her poem, “Harry” appears in the first edition of Gone Dogs. DJ lives and creates in Carbondale, Colorado. Homespun Mercies is her first collection of poetry. F. Darrell Munsell, professor emeritus, West Texas A&M University, is the author of several books on historical subjects, including his acclaimed From Redstone to Ludlow: John Cleveland Osgood’s Struggle against the United Mine Workers of America. He received BA and MA degrees in history from Fort Hays State University and a PhD degree in British history from the University of Kansas. Since his retirement from teaching in 1997, he has pursued his passion for historical research and writing. He also has devoted time and knowledge to numerous local and state historic preservation projects. He is actively involved in several area historical societies. He and his wife, Jane, live in the Crystal River Valley south of Carbondale. Dr. Greg Feinsinger was raised in Aspen, Colorado, where his family’s general practitioners were his role models. His parents always encouraged him to go into medicine, because in medicine you can be assured of helping others—the most satisfying thing in life. He graduated from Aspen High School in 1959, and received a B.A. in political science from Oberlin College, in Oberlin, Ohio, in 1963. Settlement Project where he serves as the physician at the free clinic held the 3rd Saturday of every month to help immigrants learn about nutrition and healthy eating. Connect with him at www.gregfeinsingermd.com. Cathy Heyliger has lived in the Roaring Fork Valley on and off since the late ’70s. She and her husband Dave and their three children Ben, Web, and Kaylee frequently enjoy the beauty of the Roaring Fork Valley while out hiking, skiing, and bike riding! Cathy has loved teaching in the Roaring Fork Valley and hopes her book helps even one little person out there who might be questioning his/her/their place in the world. Inspiration for this book first began when one of Cathy's sons struggled to find self-acceptance and confidence in being gay—something he realized in kindergarten when he had a crush on a boy. It was at that moment in his life he started questioning how he fit into the heterosexual world. Every year it became more solidified and more defined in his mind that he did not fit. Instead of thinking it was okay, he began to hate himself for being different; he thought he was a freak. Cathy and her husband had no idea their son was grappling with these thoughts and lament if only they had been more aware of his conflict, they could they have addressed and possibly prevented his pain. Cathy knows there are many families out there in similar situations, and it is her hope that this book can be the solution to starting the conversation of identity, acceptance, and love at an early age. "If we had a book like this when my kids were growing up, it could have prevented years of heartache for both of my sons," both of whom came out in their early teens.